They Spent $50,000 To Completely Renovate Their House, But The Reason Why Is AMAZING! Peter the home builder did something amazing with his house and renovated it into an indoor cat paradise for all 15 of his much-loved rescue cats. After both of their outdoor cats had accidents outside, they decided to renovate their house and turn it into a paradise for cats. They decided to start rescuing all the cats they could and gave back by turning their entire house into a cats dream home! If you think it’s just a few cat walks, your wrong, because its MUCH much more!.. The ENTIRE house is filled with cat walks, laders, cat scratchers and more. It cost them over $50,000, but the result is amazing! They might be crazy about their cats, but every feature in this house is created in honor of their cats and it truly the coolest place i’ve ever seen for cats! 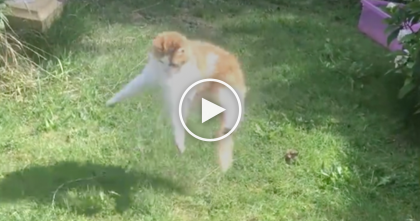 Share this amazing cat paradise with your friends! 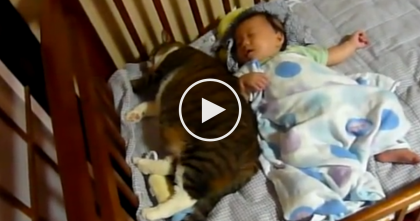 Baby Is Getting Some Sleep, But When They Walked Into The Room… Just Keep Watching. 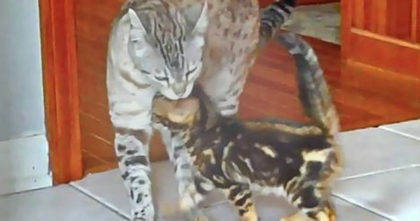 Cat lost his best friend to cancer, Now watch the reaction when they introduce him to his new kitten! 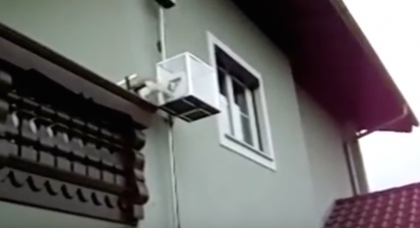 Where This Cat Hangs Out Each Day?? 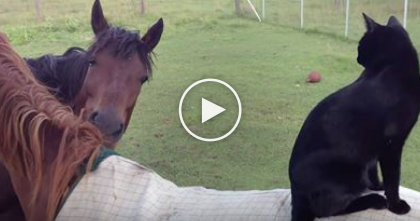 You Won’t Believe It… What A Friendship!